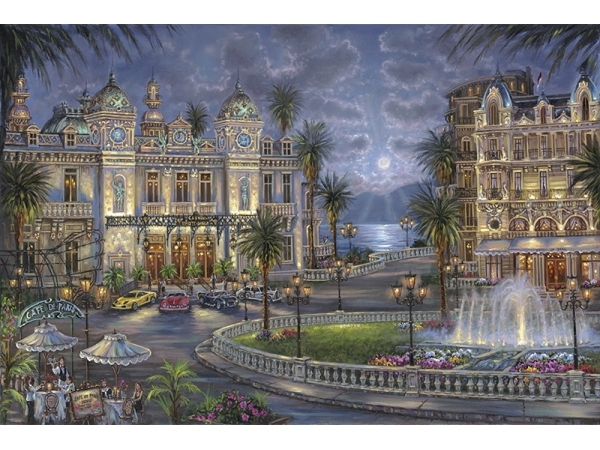 The powerful and captivating works of the artist Robert Finale flow naturally from a deep-rooted passion and God given talent for capturing the intrinsic beauty in humankind and nature. The artist is no stranger to struggles and adversity. At the tender age of two, he along with his family left the country of Cuba for a life of freedom ad opportunity in the United States. His paintings transport you to a time and place of private charm, a haven of pure and quiet delight. Each painting is a journey of unspoken words and hidden whispers of freedom, nurturing the hopes and dreams that exist within all of us. These feelings are resurfaced and unveiled through beautiful city images in romantic surroundings placing the viewer in the dream world of unconscious thoughts. As Robert places the final brush strokes on the canvas, he is conscious of the fact that the art is a universal language. Therefore, one canvas represents the window to millions of different emotions that have existed and exist through all of us, giving the viewer a powerful, tool to look within his own world, for the understanding of life’s journey. 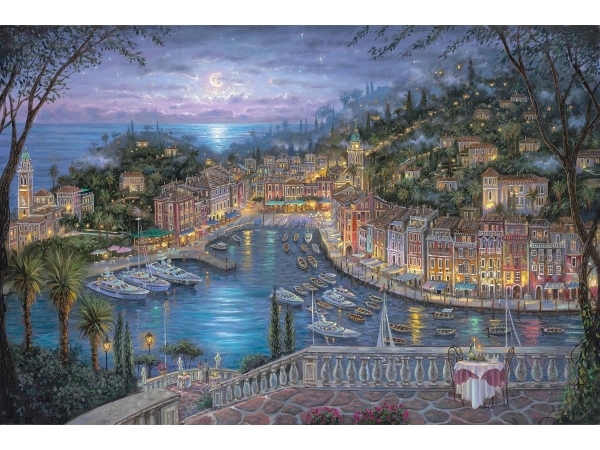 More of Robert Finale‘s wonderful paintings can be found at http://robertfinalepaintings.com/. Next ›How Do You Do It? 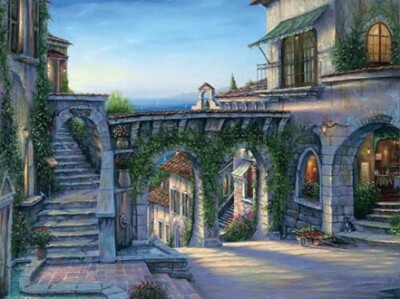 Yes…I have always loved scenery paintings with beautiful buildings and roads that take you who know where! Hi Claudia, you’ve certainly outdone yourself here, these are extraordinary pieces of artwork, and I’m now in love with Robert Finale’s masterful works, especially that last one here, exceptional and mesmerising. 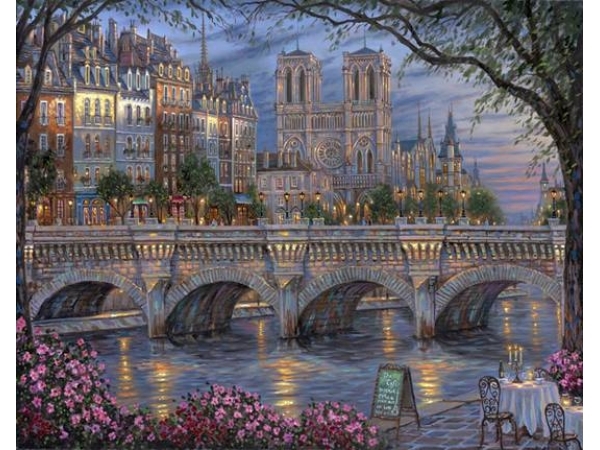 I know you can purchase some of his paintings…I love the ones of England and France. But I also love Leonid Afremov’s work too (check out my Sunday Evening Art Gallery blogs). But seeing I have no money, I will just have to sit and admire from afar. You always make me feel like an author/art gallery director. I find escapism comes in many forms, and I sometimes feel like a different person in my Gallery. PS How was your trip? Oh, I’m leaving Easter Saturday, and I’ll be away for 12 days.